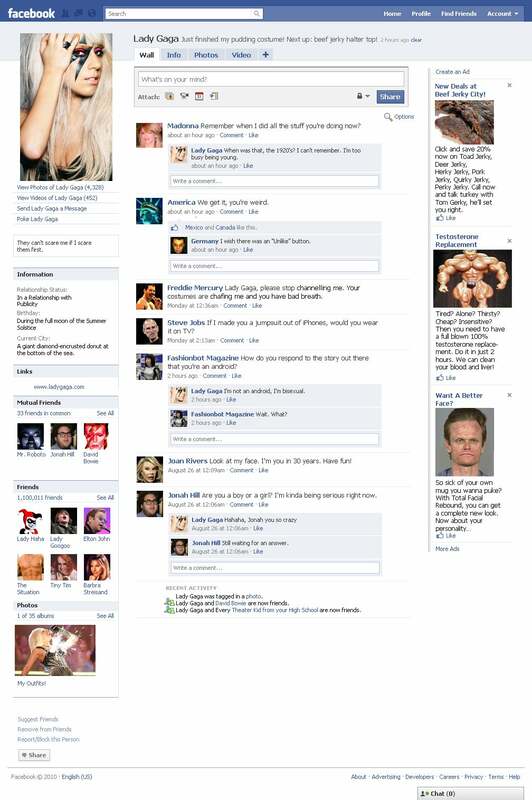 The Facebook pages of some of our most important and most famous tech and media people have gotten interesting lately. We decided to take a snapshot of the often-complicated lives of our favorite stars. 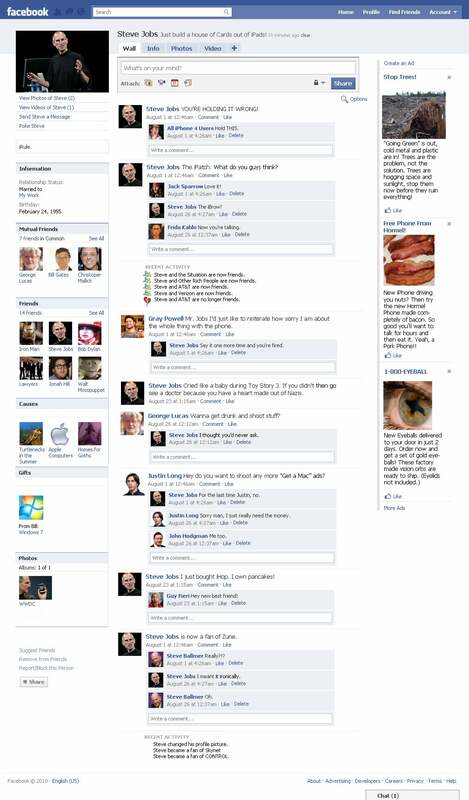 We wanted to know how Bill Gates and Steve Jobs have been getting along since the last time we checked out their profiles in March 2009. We wanted to know how the Facebook community is handling LeBron's move to the Miami Heat. We wanted to know how really nerdy Sergey Brin is. 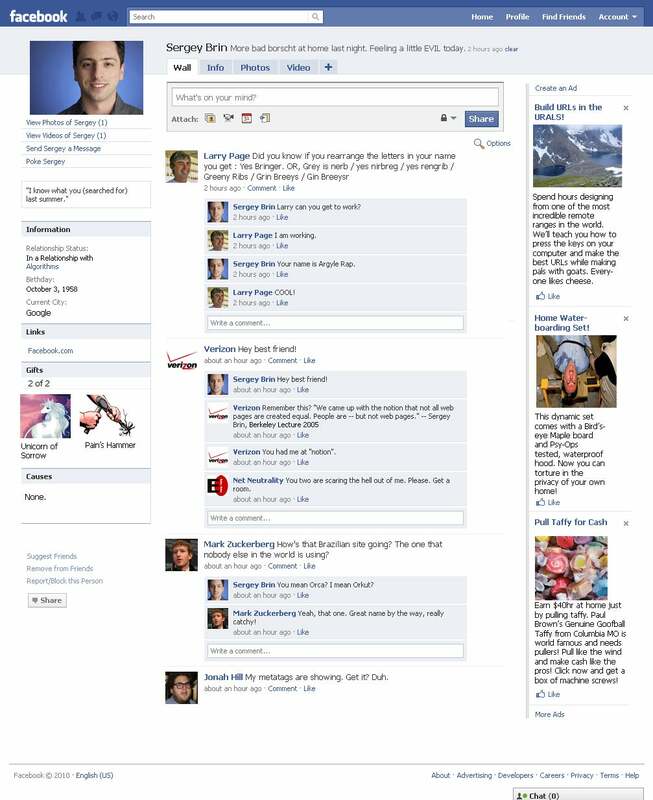 We wanted to see what really happens within the social world of Mark Zuckerberg. Actually, the real-life versions aren't very interesting, so we made some up. And here they are. 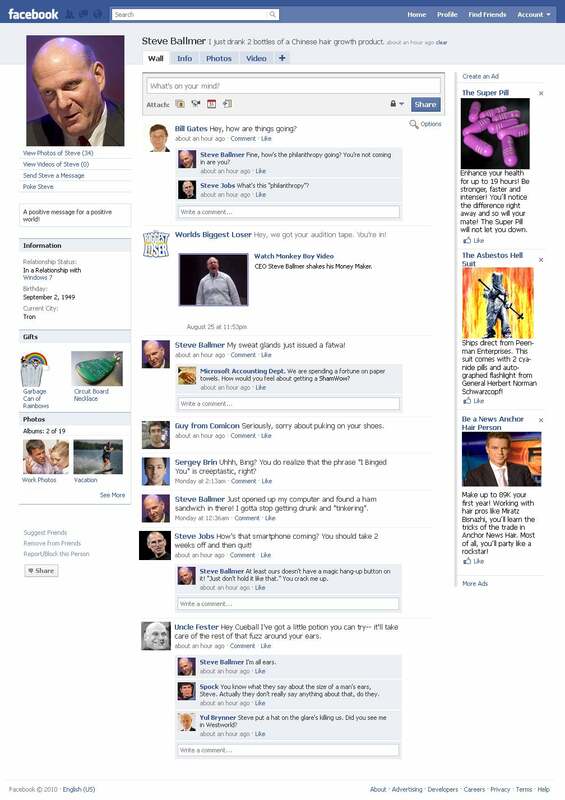 To view a person's Facebook page, scroll through the list below and click the appropriate profile picture. Steve Ballmer I just drank 2 bottles of Chinese hair growth product. Steve Jobs Just built a house out of iPads. Mark Zuckerberg Just bought a new hoodie! Sergey Brin More bad borscht at home last night. Feeling a little EVIL today. LeBron James If you can't stand LeHeat, get out of the LeKitchen. Lady GaGa Just finished my pudding costume! Next up: beef jerky halter top!